The Sacred Page: Happy birthday to Matthean scholar Leroy Huizenga! Happy birthday to Matthean scholar Leroy Huizenga! Today my friend Leroy Huizenga is celebrating his birthday. Leroy is one of the most exciting young Matthean scholars around today. 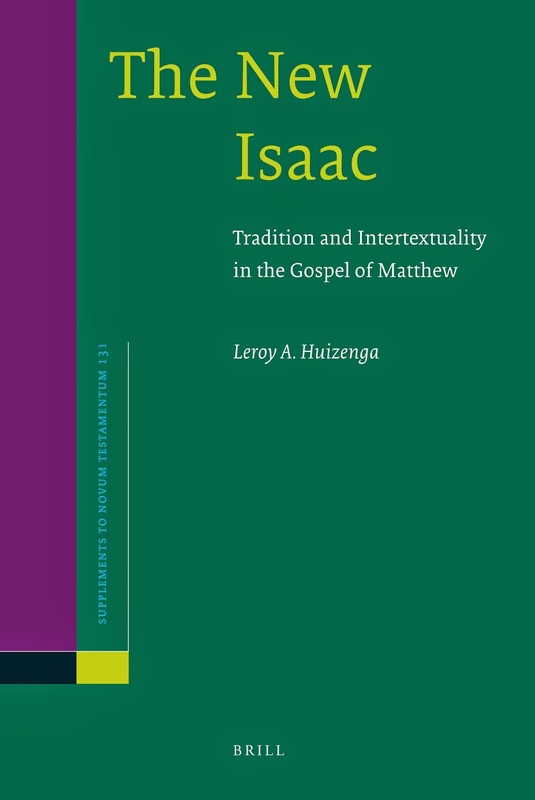 I highly recommend his monograph, The New Isaac: Tradition and Intertextuality in the Gospel of Matthew (NovTSup 131; Leiden: Brill, 2009). The book has recently been published in paperback making it much more affordable than it had been in the past. In short, the monograph shows that it is no coincidence that the Gospel begins with a description of Jesus as the "son of Abraham" (Matt 1:1). Throughout the Gospel, Matthew describes Jesus' mission in terms of Isaac imagery. I learned so much from this book it is hard to write a brief post on it. In short, it highlights just how frequently the New Isaac imagery seems to appear in Matthew's Gospel, pointing out intertextual echoes that have long been largely overlooked. For example, when the crowd comes with Judas to arrest Jesus in the garden they are specifically said to come "with swords and clubs" (meta maxairōn kai zulōn)(Matt 27:47). The language here seems to allude to Genesis 22, where the exact same words are used to describe what Abraham takes up the mountain where Isaac is to be authored: Abraham takes the "wood" (ta xula) and the "sword / knife" (tēn machairan)(Gen 22:6). Of course, there are many other connections that reinforce the impression that such similarities are hardly coincidental. Go get the book. You can also read a fine article of his, "The Tradition of Christian Allegory: Yesterday and Today," here for free.